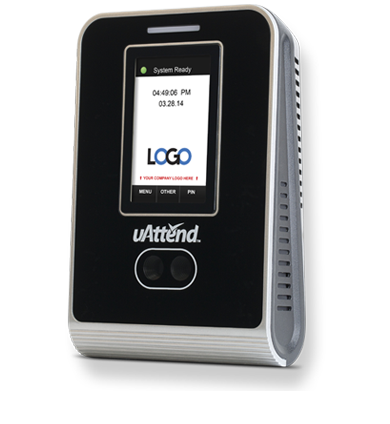 The Most Cost Effective and Innovative Time and Attendance System. Ever. The MN2000 is a Facial Recognition time clock that connects easily to any wired router. 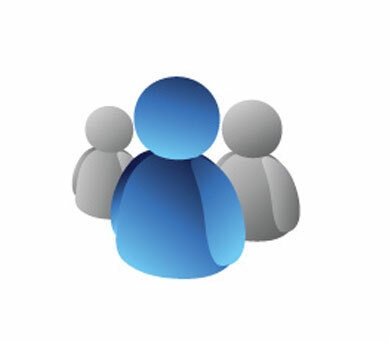 The MN2000 is part of the uAttend Employee Management System, a web-based service that allows employees to punch in and out from the MN2000, from a computer, a smart phone app, or from a telephone. 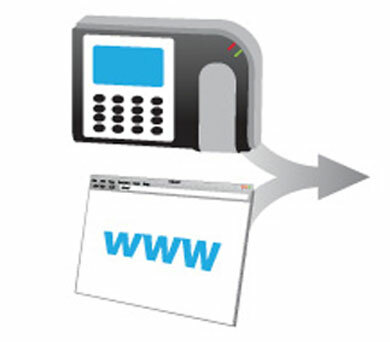 The CB6500 is a RFID time clock that connects effortlessly to Internet via WiFi, allowing you to perform time and attendance functions from any computer with Internet access. The CB6500 is part of the uAttend Employee Management System, a web-based service that allows for employees to punch in and out from the CB6500, from a computer, a smart phone app, or from a telephone. It’s simple for employees to use and for managers to maintain. 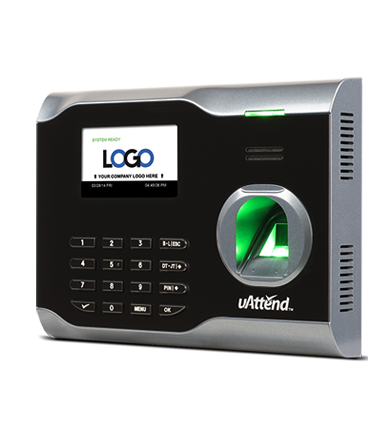 Employees punch in or out from a uAttend time clock and/or website or phone. Managers log into the website to view hours, run reports, make changes and manage the system. All data is available to export to your payroll company or to run internal payroll. Unlike a traditional time clock that is tethered to a computer and client based software, uAttend uses cloud computing to allow business owners the flexibility of doing time and attendance anywhere and any time. Additionally, the system allows extreme flexibility, letting employees “punch” in and out from a time clock, web-browser, or phone. Unlike other systems, all the punch data, no matter what the source, is aggregated online for easy editing and reconciliation. There is no need to network together different solutions for different employee types and access a single client based computer for time and attendance.  See what customers have to say about our solutions. We have been using the uAttend time clock and payroll system for several months now and I am absolutely 100% pleased with it. It was so easy to install and use. The reports are easy to read and use. It is so beneficial to be able to look in the system and see who is clocked in. It helps me adjust schedules because I can look at an entire department and see how many employees are working as opposed to how many are currently needed. I am able to address many problems immediately, such as employees that are late or clocking in early. The fact that the uAttend system can interface with our payroll is also a great time saver and eliminates the possibility of errors. I highly recommend this simple, but very effective uAttend system. I have never had any problems or concerns but the help section and live chat are always available. NorCal Cajun Foods is a big fan of uAttend. We are in the fast food industry and have about 100 employees spread across several locations. In addition to tracking our employees’ time and attendance, uAttend has also streamlined our payroll, saving us a ton of time and overhead. Before uAttend, we would physically collect paper time cards for each employee, then manually tally the work hours and enter this information into QuickBooks. Our payroll was tedious, time consuming, inconsistent and not always accurate. We wanted a solution that would automate our employee time and attendance, but most importantly, we wanted one that would help facilitate our payroll. We chose uAttend primarily because it integrates with QuickBooks and because it came so highly recommended online. The system has been a powerful asset. We basically save a full day of work every pay period because we can now automatically track and export employee work hours into QuickBooks. It literally takes three quick steps to export! The uAttend system was simple to install, easy to learn, and has given us a return on investment ten times over! If you use QuickBooks for payroll, I definitely recommend integrating with uAttend’s time and attendance solution. It has been exactly what we wanted, and more than we expected. Sandy Mann, NorCal Cajun Foods, Inc. Being musicians, we don't have the time or expertise to focus on running our business like other small businesses do, especially when it comes to managing employee time and attendance. We wanted a vendor that can provide multiple solutions and make it simple for our staff to use and implement. Processing Point does just that! The uAttend employee time tracking solution has been one of the most beneficial options for us, but we highly recommend any and all of Processing Point’s services. We can now focus on what we do best knowing we have a vendor we can trust! We’ve used uAttend since we first opened 20 Lounge. I honestly don’t see how we would have done it without uAttend! I handle payroll for both our locations which is extremely efficient and easy with the uAttend system. Also, we use uAttend’s thumb print login system which is AWESOME! All of our new employees think we are so hip and cool for offering this. 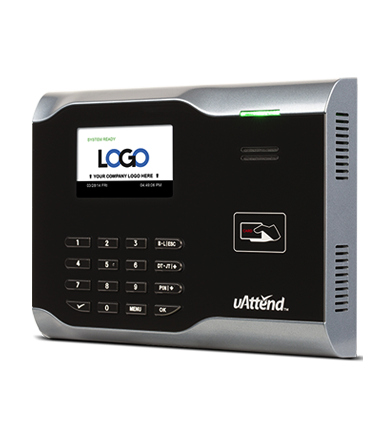 Overall 20 Lounge just really loves the uAttend system - it is extremely user friendly, easy to adjust and record info, and our staff finds it easy to login and out. What more could you ask for? From ATV's to snowmobiles and dirtbikes, KLIM Technical Riding Gear creates high-quality riding apparel for all motor sport enthusiasts. KLIM had previously been using a biometric time clock that was server based and decided they wanted to take their time and attendance tracking to the cloud. With uAttend's biometric time clock and online attendance software, KLIM can now access employee data from virtually anywhere to monitor and track attendance or to process payroll. East Side Deli operates three premiere delicatessen and sandwich shops in Portland, Oregon. Prior to uAttend, the company manually recorded employee time and attendance, which meant managers spent countless hours calculating paper timesheets and processing payroll. In addition, the owner had to physically collect timesheets from all three locations. Thanks to uAttend’s online timekeeping software system, East Side Deli now processes payroll in less than an hour from the convenience of one office.